Quick Play Guide for Gamers! Your name is Private Joe Blockhead of the Block Marines and your lands are under threat! 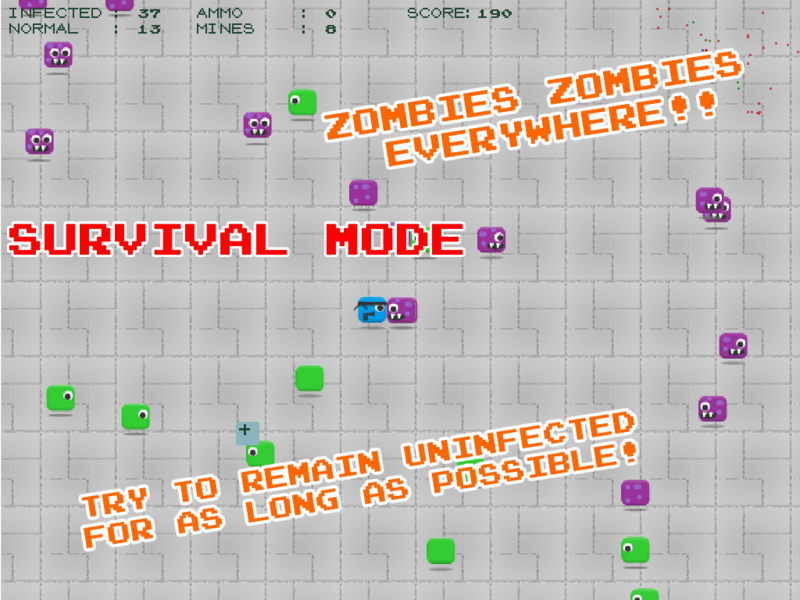 A Zombie Virus has taken hold and and it's spreading fast! 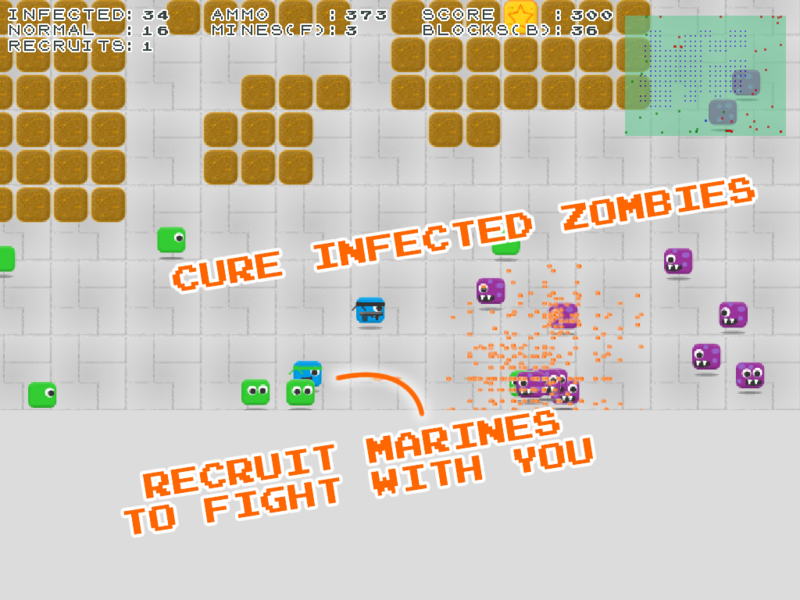 You and many other of the Block Marines have been tasked with removing the infection from all the zones of your land. Your team of scientists have come up with a cure in pellet form, but it only lasts as long as the subject does not get re-infected! Other marines have left behind some weapons and equipment for you to find hidden with the block walls of the town. Ammo and mine drops will be carried out to re-supply your efforts. Occasionly you can recruit a green civvie to join the ranks and help defend an area. Shooting blocks gives you mini blocks that you can use to create small cordons or blockades against the infection. Good Luck Marine! You're gonna need it! You have to create an account before you can vote. * Clicking on "vote" will redirect you to a register page and vote will not be cast unless you login to your newly registered account. There are two game modes of play. Maybe even three if I have time. 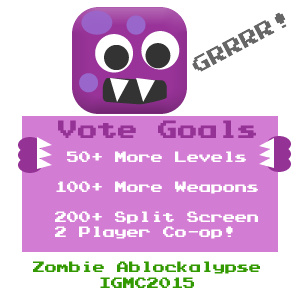 1) Arena / Ablockalypse mode (survival mode) is just you and your gun and whomever you can recruit to help you. 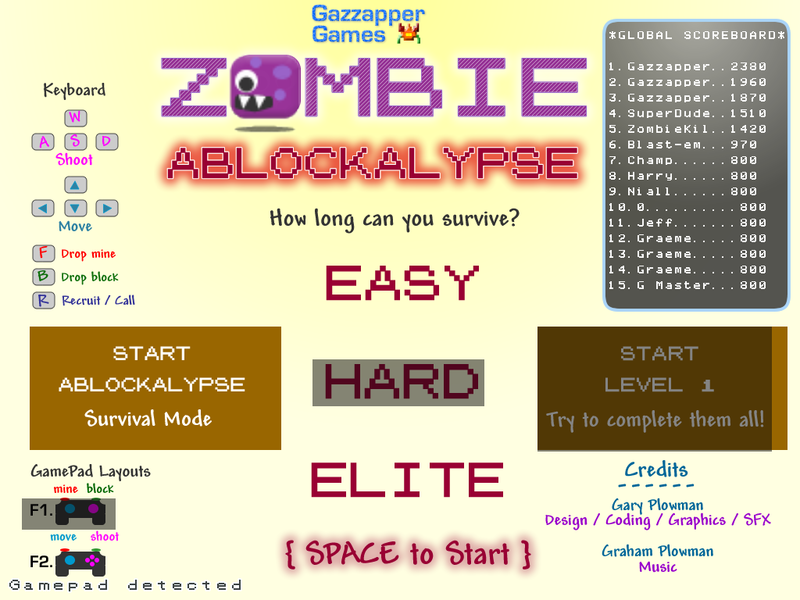 Fighting to stay alive and score as much as possible until the Zombies have been all been cured or until you are defeated! No Block builds are allowed in Survival Mode. 2) Town Clearance Levels: Using the blocks and resources available in the town, you must defeat the infection using strategy and tactics. Build structures and fortifications to house in the healthy and keep out enemies. Use everything you can, if you wanna remain uninfected! infected enemies 'grow' in size the longer they remain infected.